BeeAndGarden.com – Page 2 – A resource to help save the honey bees and our environment! NEONICATOIDS ARE KILLING THE BEES! Author KevinPublished on May 28, 2013 May 29, 2013 Leave a comment on NEONICATOIDS ARE KILLING THE BEES! Finally, what Sharilyn Stalling has been telling people for years has been proven! Directorate General Policy unit of the European Parliament. >> 2. 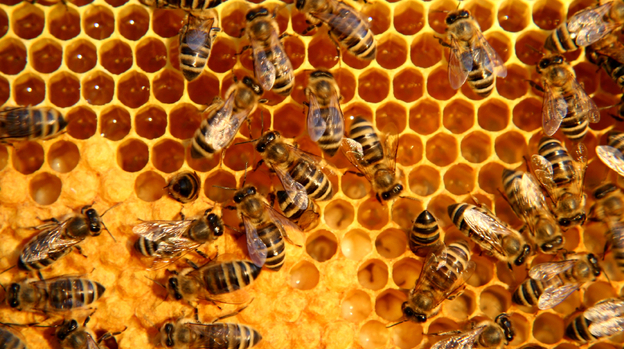 Neonicotinoids show high acute toxicity to honeybees. >>give new insights into this issue. >>1107/2009should be applied when using neonicotinoids. state of the evidence' on neonicotinoids and honeybee/ wild bee deaths. of bee colonies in Europe and the UK. suspend the use of these systemic pesticides. made by the end of December 2012. Published on May 28, 2013 May 29, 2013 Author KevinCategories Bees, NewsTags CCD, Neonics, PesticidesLeave a comment on NEONICATOIDS ARE KILLING THE BEES! 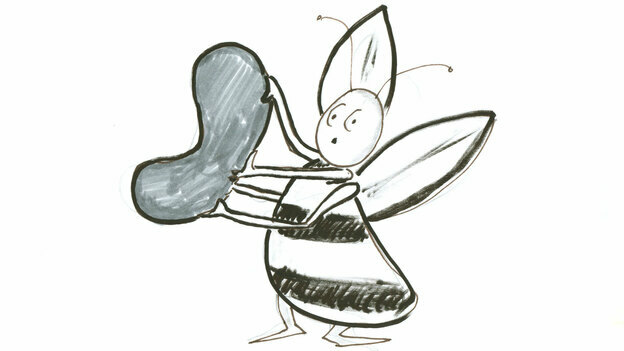 Over thirty percent of our agricultural crops depend on bees for pollination -- including apples, cucumbers, melons, blueberries, and almonds. Bee pollination means about $15 billion in agricultural production for the United States. But these creatures, critical to ensure our food supply, are quickly disappearing. In the last 60 years, the number of bee colonies fell by 45%. In 2006, US beekeepers noticed massive bee die offs - something they've never seen before. Every year since 2006, one third of bee colonies in the United States disappear. This mysterious bee die off came to be called "colony collapse disorder." Colorado beekeeper Tom Theobald explains what's behind bee disappearance and what we need to do about it. Author KevinPublished on May 28, 2013 May 28, 2013 1 Comment on Mysterious Honey Discovered That Kills All Bacteria Scientists throw at it. AUSTRALIAN researchers have been astonished to discover a cure-all right under their noses -- a honey sold in health food shops as a natural medicine. Far from being an obscure health food with dubious healing qualities, new research has shown the honey kills every type of bacteria scientists have thrown at it, including the antibiotic-resistant "superbugs" plaguing hospitals and killing patients around the world. The honey is distinctive in that it comes only from bees feeding off tea trees native to Australia and New Zealand, said Dee Carter, from the University of Sydney's School of Molecular and Microbial Biosciences. Professor Carter's two sons, Marty, 8 and Nicky, 6, think it's funny the way their mother puts honey on their sores. But she swears by it, telling stories of how quickly it cures any infection. "Honey sounds very homey and unscientific, which is why we needed the science to validate the claims made for it," she said. "Most bacteria that cause infections in hospitals are resistant to at least one antibiotic, and there is an urgent need for new ways to treat and control surface infections," Professor Carter said. "New antibiotics tend to have short shelf lives, as the bacteria they attack quickly become resistant. Many large pharmaceutical companies have abandoned antibiotic production because of the difficulty of recovering costs. Developing effective alternatives could therefore save many lives." She said a compound in the honey called methylglyoxal -- toxic on its own -- combined in unknown ways with other unidentified compounds in the honey to cause "multi-system failure" in the bacteria. The results of the research project are published in this month's European Journal of Clinical Microbiology and Infectious Diseases. Published on May 28, 2013 May 28, 2013 Author KevinCategories Honey, News1 Comment on Mysterious Honey Discovered That Kills All Bacteria Scientists throw at it. 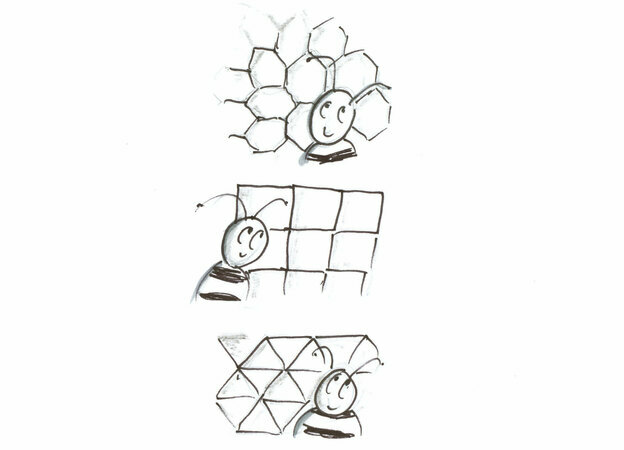 WHat is it About Bees & Hexagons? 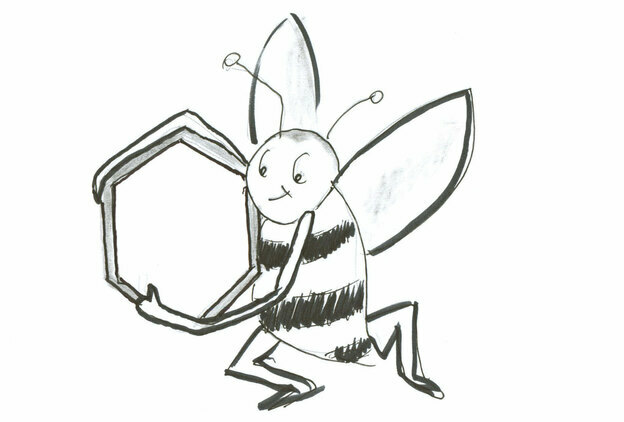 Author KevinPublished on May 28, 2013 Leave a comment on WHat is it About Bees & Hexagons? Here is a very interesting article from NPR that can be read at this link. Solved! A bee-buzzing, honey-licking 2,000-year-old mystery that begins here, with this beehive. Look at the honeycomb in the photo and ask yourself: (I know you've been wondering this all your life, but have been too shy to ask out loud ... ) Why is every cell in this honeycomb a hexagon? 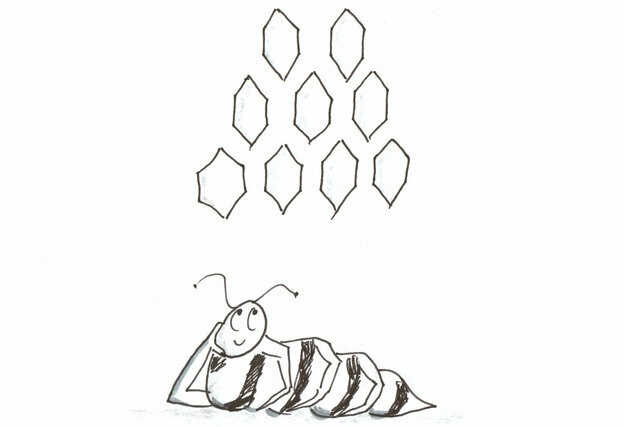 But for some reason, bees choose hexagons. Always hexagons. And not just your basic six-sided hexagon. They like "perfect" hexagons, meaning all six sides are of equal length. They go for the jewelers' version — precise, just so. Why? Well, this is a very old question. More than 2,000 years ago, in 36 B.C., a Roman soldier/scholar/writer, Marcus Terentius Varro, proposed an answer, which ever since has been called "The Honeybee Conjecture." 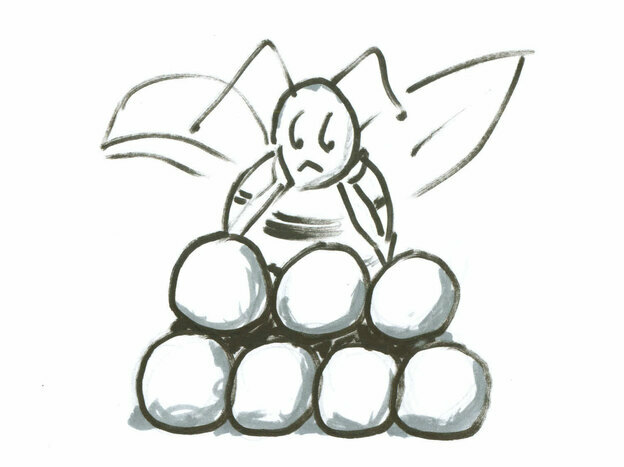 Varro thought there might be a deep reason for this bee behavior. Maybe a honeycomb built of hexagons can hold more honey. Maybe hexagons require less building wax. Maybe there's a hidden logic here. I like this idea — that below the flux, the chaos of everyday life there might be elegant reasons for what we see. 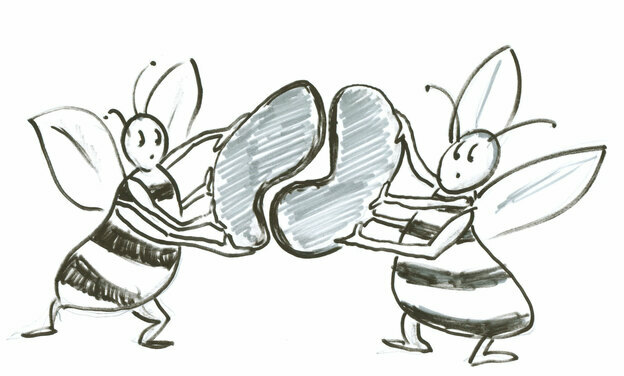 "The Honeybee Conjecture" is an example of mathematics unlocking a mystery of nature, so here, with help from physicist/writer Alan Lightman, (who recently wrote about this in Orion Magazine) is Varro's hunch. Honeycombs, we all know, store honey. Honey is obviously valuable to bees. It feeds their young. It sustains the hive. It makes the wax that holds the honeycomb together. It takes thousands and thousands of bee hours, tens of thousands of flights across the meadow, to gather nectar from flower after flower after flower, so it's reasonable to suppose that back at the hive, bees want a tight, secure storage structure that is as simple to build as possible. ... this method of constructing a honeycomb would require that the worker bees work sequentially, one at a time, first making once cell, then fitting the next cell to that, and so on. But that's not the bee way. Look at any YouTube version of bees building a honeycomb, says Alan, and you won't see a lot of bees lounging about, waiting for their turn to build a cell. Instead, everybody's working. They do this collectively, simultaneously and constantly. So a "squiggle cell plan" creates idle bees. It wastes time. 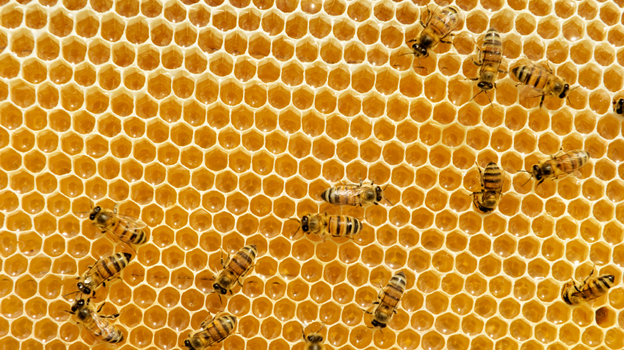 For bees to assemble a honeycomb the way bees actually do it, it's simpler for each cell to be exactly the same. If the sides are all equal — "perfectly" hexagonal — every cell fits tight with every other cell. Everybody can pitch in. That way, a honeycomb is basically an easy jigsaw puzzle. All the parts fit. OK, that explains why honeycomb cells are same-sized. But back to our first question: Why the preference for hexagons? Is there something special about a six-sided shape? ... creating gaps that would need extra wax for patching. So you can see why a honeycomb built from spheres wouldn't be ideal. Pentagons, octagons also produce gaps. What's better? "It is a mathematical truth," Lightman writes, "that there are only three geometrical figures with equal sides that can fit together on a flat surface without leaving gaps: equilateral triangles, squares and hexagons." So which to choose? The triangle? The square? Or the hexagon? Which one is best? Here's where our Roman, Marcus Terentius Varro made his great contribution. His "conjecture" — and that's what it was, a mathematical guess — proposed that a structure built from hexagons is probably a wee bit more compact than a structure built from squares or triangles. A hexagonal honeycomb, he thought, would have "the smallest total perimeter." He couldn't prove it mathematically, but that's what he thought. “[The honeycomb is] absolutely perfect in economizing labor and wax. Two thousand thirty-five years after Marcus Terentius Varro proposed his conjecture, a mathematician at the University of Michigan, Thomas Hales, solved the riddle. It turns out, Varro was right. A hexagonal structure is indeed more compact. In 1999,Hales produced a mathematical proof that said so. As the ancient Greeks suspected, as Varro claimed, as bee lovers have always thought, as Charles Darwin himself once wrote, the honeycomb is a masterpiece of engineering. It is "absolutely perfect in economizing labor and wax." The bees, presumably, shrugged. As Alan Lightman says, "They knew it was true all along." 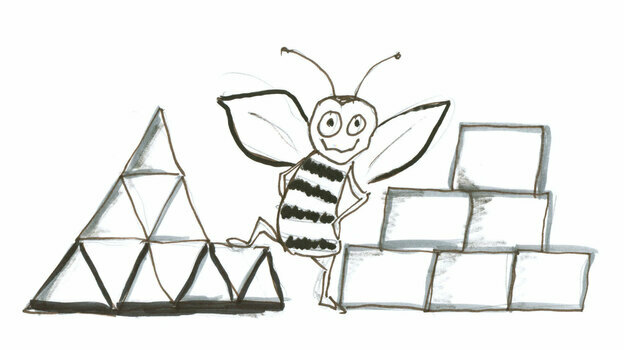 Published on May 28, 2013 Author KevinCategories BeesLeave a comment on WHat is it About Bees & Hexagons?